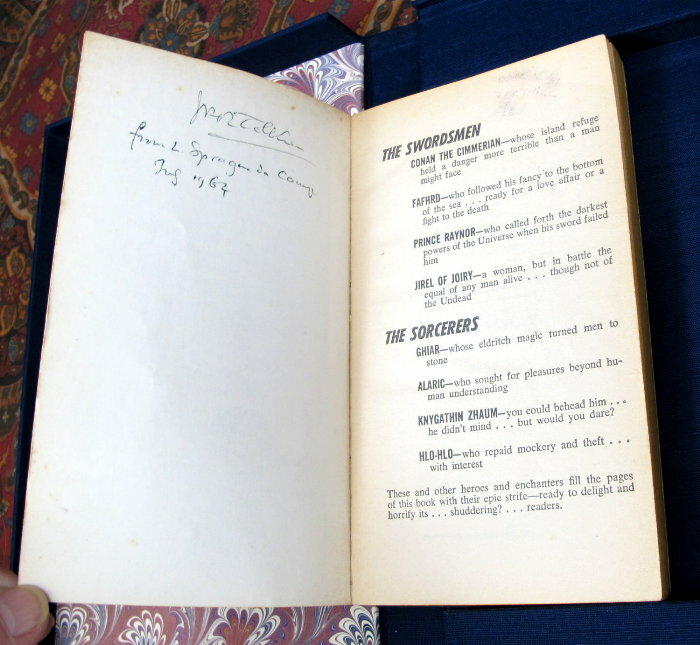 A lengthy criticism of a story by Lord Dunsany, originally published in 1912 and entitled: "Distressing Tale of Thangobrind the Jeweler", which is included in the book. 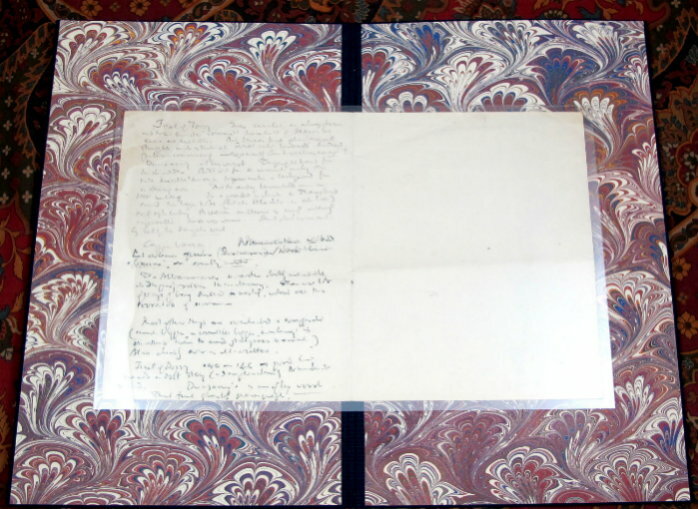 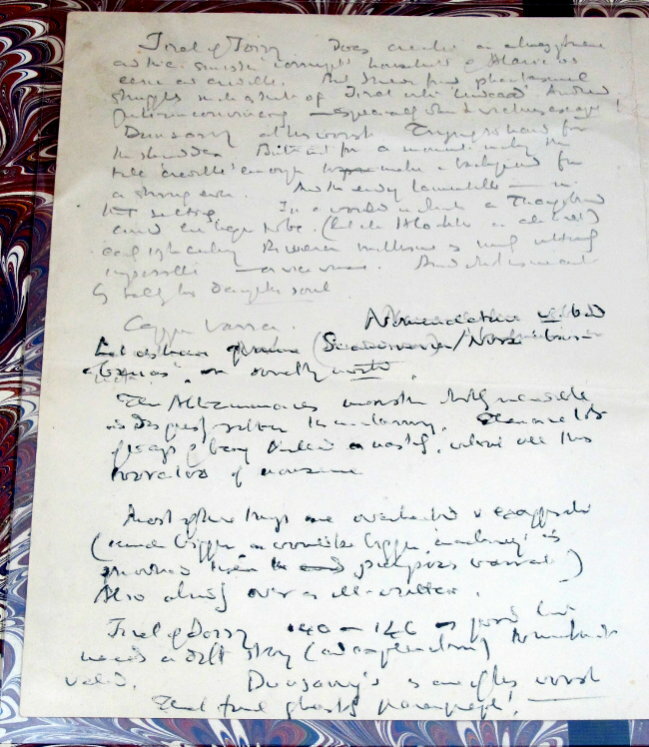 A pair of items is offered, which include a lengthy handwritten critique by J.R.R. 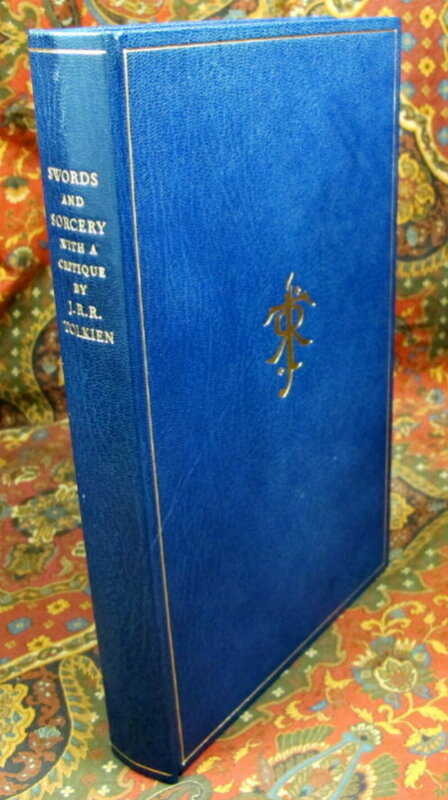 Tolkien, and the related paperback novel, Swords & Sorcery, with the introduction by L. Sprague de Camp. 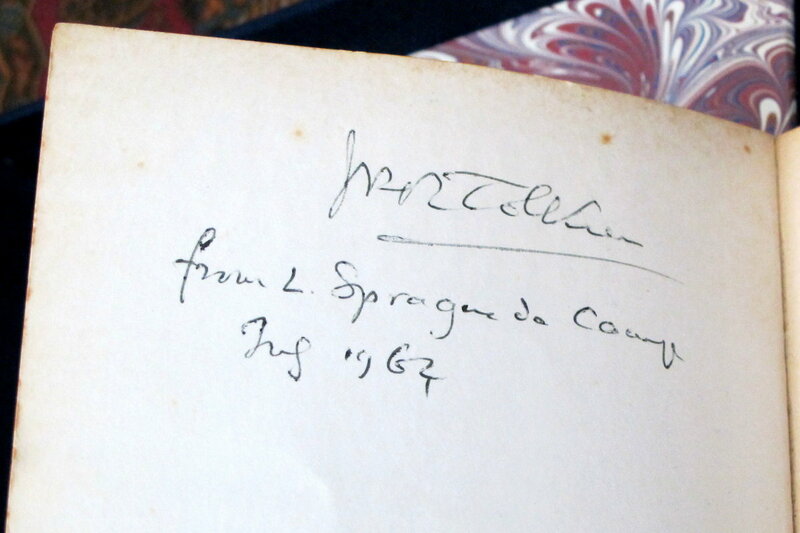 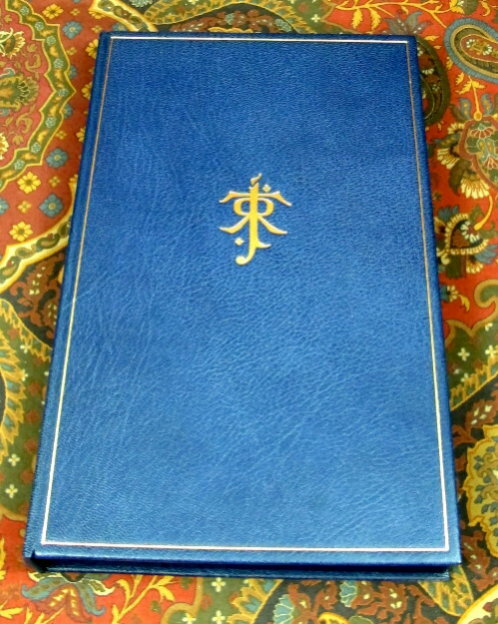 A fantastic pair of items, written or signed by the author of The Hobbit and The Lord of the Rings. 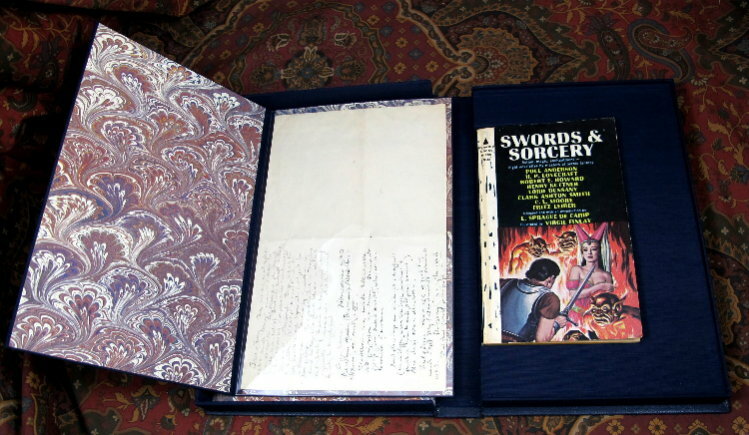 These are both housed in a custom Dark Blue Leather Clamshell Case. 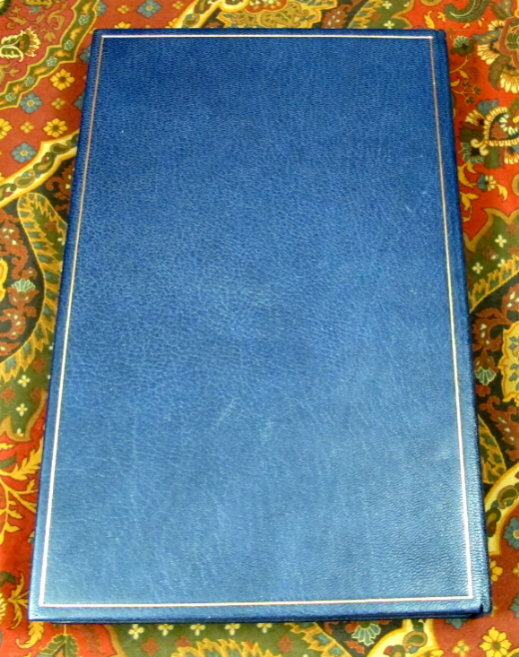 The case has a recessed tray for the book, and a matching dark blue cloth folder fits on top of the tray to house the handwritten critique, protected in mylar. 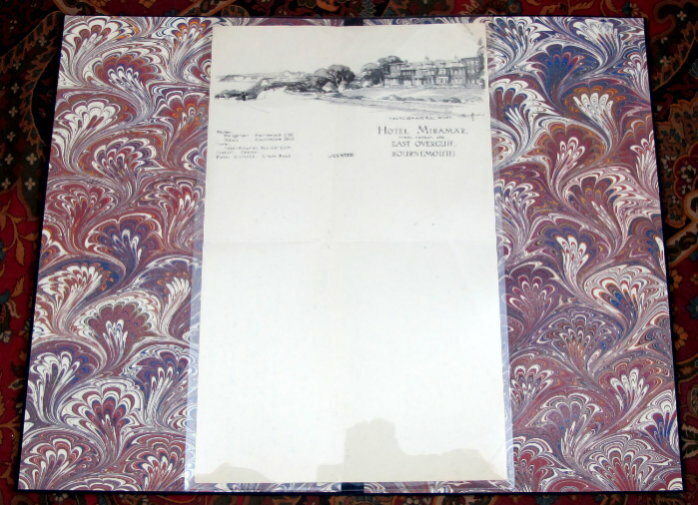 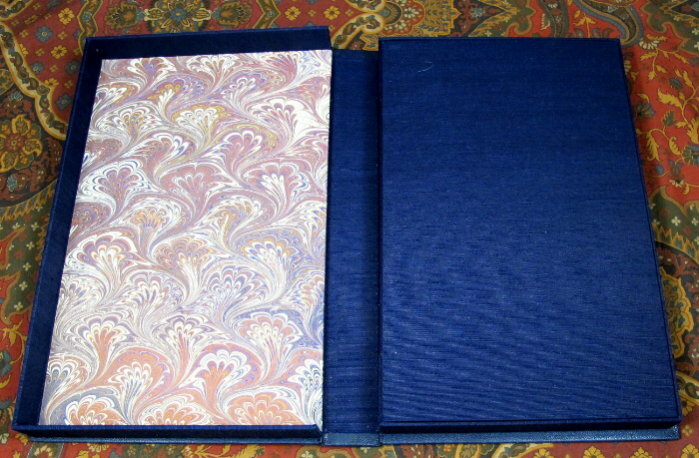 Marbled paper endpapers to complement the full leather binding and blue cloth interior and folder. 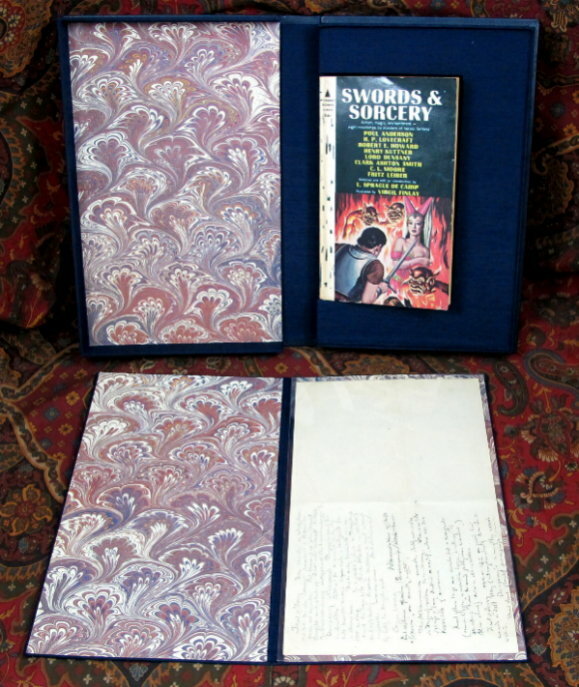 A wonderful case to protect and show the two items.